Adorn your walls with shades of purple, pink, and yellow, and a simple message to usher in the festive spirit this Diwali. The asian paints wall ons 'designer Diwali diya' wall sticker s minimalistic design and soothing colour scheme is sure to add a touch of elegance to your home. 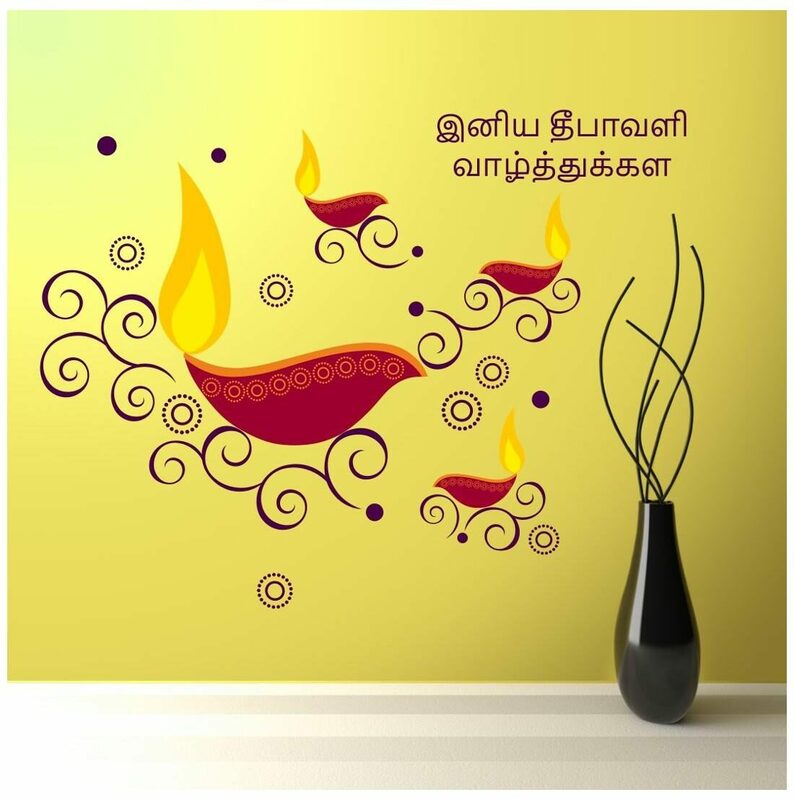 Shubh deepawali its been written in Tamil. The decals are eco-friendly, durable, waterproof, and easy to install and remove from almost any wall surface. Caution: please ensure that you wait at least 10 days after painting before applying this product.